Albert-László Barabási’s research says the whole Web is connected by 19 clicks or fewer. 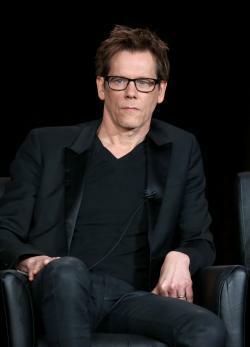 Everybody is familiar with “Six Degrees of Kevin Bacon,” right? Well, according to a Hungarian physicist, the Internet works basically the same way. Despite there being something like 1 trillion pieces of Web out there (websites, hosted images, videos, etc), you can navigate from any one of them to another in 19 clicks or fewer. I have a sneaking suspicion you may not be all that impressed by this, given how much we take for granted the near omnipotence of sites like Google. But you’re probably underestimating how many cat videos go into a trillion. Unlike connecting Hitler to Kevin Bacon, Albert-László Barabási’s conclusions are no party trick. His analysis (which is actually two years old but was just recently published in Philosophical Transactions of the Royal Society) showed that whether you look at a small cross-section of pages or the whole shootin’ match, 19 clicks should be more than enough to get you to the center of that Tootsie Pop. This information could help change the way we gird our most important Internet structures. This means a relatively small number of sites make up a disproportionate amount of the clickiness—sites like Reddit (aggregators), Google (search engines), and Wikipedia and the Internet Movie Database (indexes). This is where things get potentially dangerous. If a handful of sites enable most of the Web’s circuitry, a cyber attack or outage could theoretically leave huge swaths of Web stranded from one another. We witnessed a version of this silicon butterfly effect last June when a Facebook hiccup affected the traffic of major media sites in the United States. Big deal, you say, we can just go directly to those media sites if something goes wrong. Well, yes, we are free to do so. But the numbers show that when the all-powerful Facebook was down, we did not. Perhaps it never occurred to us to see if something interesting was happening over there. Perhaps we forgot we had the option. The Great Chain of Viral had broken down. Even more worryingly, a brief Facebook “glitch” a couple of weeks ago actually brought down major sites like CNN and the Washington Post—or at least made them inaccessible for users logged into Facebook. This shows the potential danger of over-integration with Facebook or any other connector site. The results were far worse when Amazon’s cloud went down last fall and whole sites dropped out of the net, from Reddit and Airbnb to Pinterest and FastCompany. So the good news is we’re more connected than ever. But that’s also the bad news.